1. AR60 Beef Tubes are the easieast of any version to install. Simply remove the C - hubs, knuckle, or lock outs and slide the Beef Tubes into the housing. 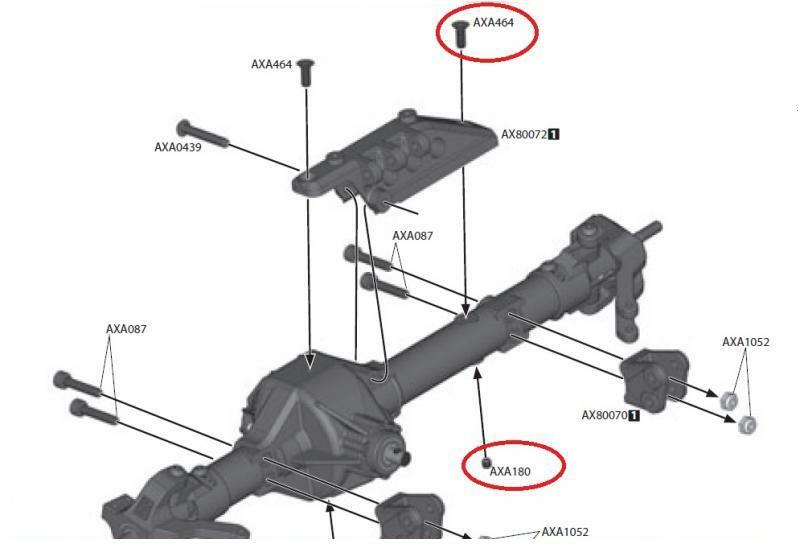 If you are installing Beef Tubes in the rear axle housing, you will need to file down the lip on the axle shafts pictured below(Fig. 2). Do not totally remove the lip! File just enough off to allow the axle shaft to slide in. 1. "My long side Beef Tube will not go in." The machine tolerances on these tubes are extremely tight to allow for the most material possible in the Tube. Tight fit = Strength! I have noticed that the two screws in the fig. 1 below can also cause interference. Make sure that the screw AXA180 is not threaded in too far. Screw AXA464 may be slightly protruding through the housing. 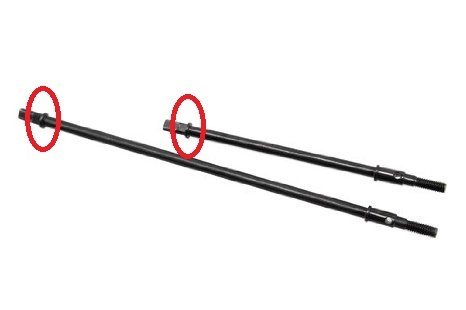 If so, remove it from the housing and simply sand/cut just enough off the end so it does not protrude through the housing and cause interference with the tube. It does take some force to get the Tube seated completely into the housing. A little lube may help. Also, due to the variations in the injection molding process, every housing is just slightly different.